Today, there are many ways to become a professional architect, from interning in large practices, to starting your own boutique office, or teaching design in a university or institute. 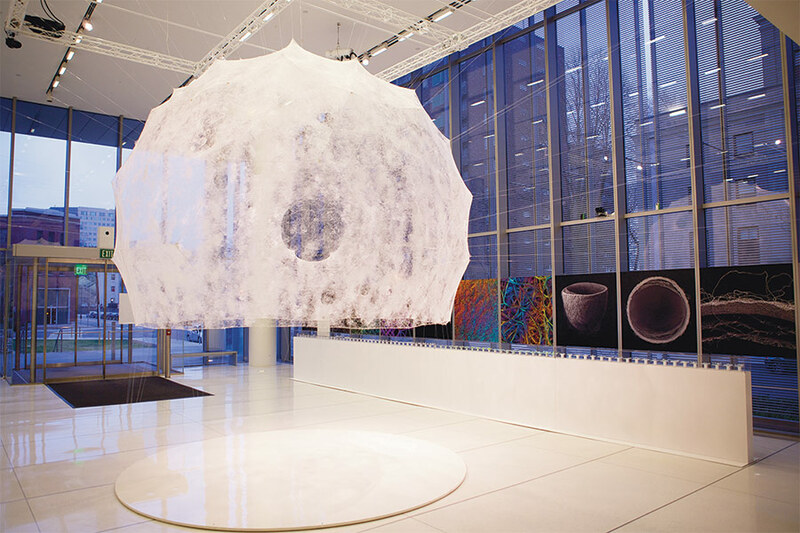 The Israeli, British, and MIT–educated Neri Oxman has chosen this last path as a way into the profession, one she hopes will eventually allow her the opportunity to build. Perhaps the major attraction of the university route (in addition to a regular paycheck) is the chance to focus intently on theoretical and practical design issues and to work collaboratively with students on refining ideas about architecture. Oxman is currently Sony Corporation Career Development Professor and Associate Professor of Media Arts and Sciences at MIT, where she directs a studio engaged in what she calls Material Ecology. It focuses on “computation, fabrication, and matter as inseparable and harmonized dimensions of design.” When the studio started it focused on models taken from nature for their form generation, which allowed them to think of issues like sustainability as integral to design, not as external processes. A tree, Oxman claims, “doesn’t distinguish between its branching patterns, how much water transpires through its leaves and the amount of carbon dioxide it exchanges with the atmosphere.” Taking this as a model for fabrication gives the studio the conceptual framework to unify computation, digital fabrication, and the material itself as inseparable and harmonized dimensions. All great inventions and great works of art involve a unique way of seeing, perceiving, and expressing the world around us. Oxman’s commitment to digital fabrication is at the heart of “a new age where technique and expression unite.” She happily confirmed that “it is very calm inside the eye of the storm; there is stillness inside a revolution. You can’t afford to miss it even if this means you’re going to have to wait a while before you can build a skyscraper.” Fortunately, the digital images of Oxman’s projects are a joy to behold, so we do not have to wait for her to build with bricks and mortar.